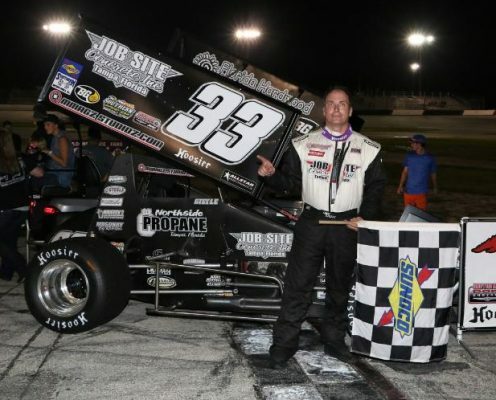 Bradenton, FL – On a night that the Southern Sprint Car Shootout Series presented by BG Products and TrueFuel honored one of Florida’s late sprint car racing legends, it seemed fitting that another legend would finish the night on top of the podium. 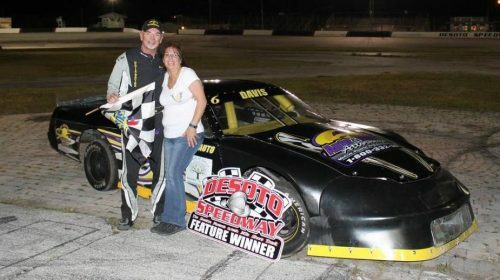 Dave Steele, a two-time Little 500 champion who has several championships on his resume, rocketed from the back of the field and crushed the competition on his way to a victory in Saturday night’s Larry Brazil Memorial at Desoto Speedway. 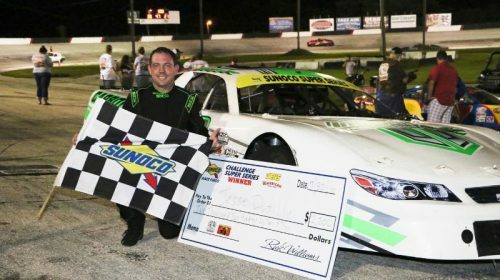 Scott Lookwood – When the Sunoco Challenge Super Series Late Models last raced at Desoto Speedway earlier this summer, Bradenton’s Jesse Dutilly led the final 89 laps of the 100-lap main event on his way to a victory. 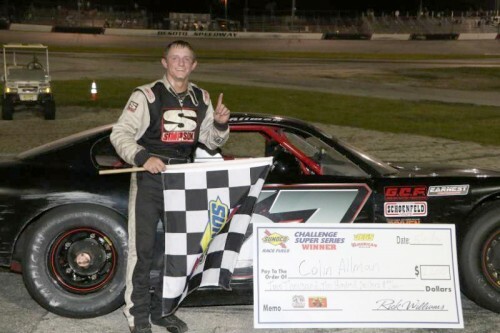 He one-upped that feat in Saturday night’s return engagement, rocketing up from his fourth starting spot and leading the final 90 laps on his way to another victory against the largest Late Model field of the season on his home track. 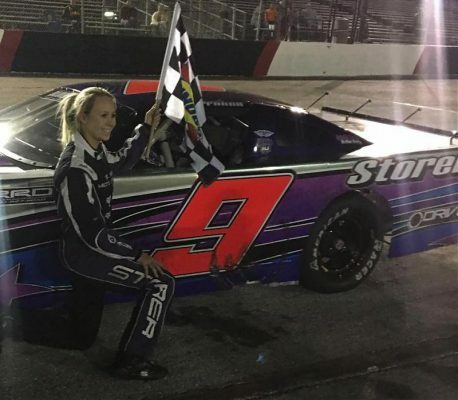 SCOTT LOCKWOOD – Kenny Gibson and Sean Bass outlasted the competition – and the sweltering heat – to take victories in the main events on an action-packed night at Desoto Speedway on Saturday. 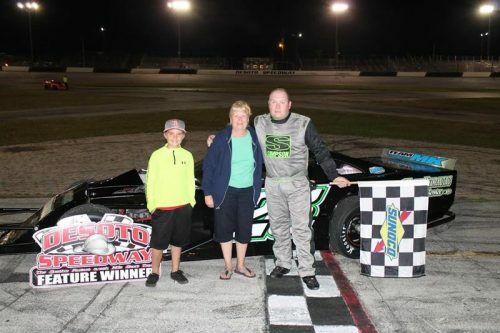 SCOTT LOCKWOOD – Not even a two-month break could slow down Richard Campbell out of Sarasota for most of Saturday night’s action at Desoto Speedway. 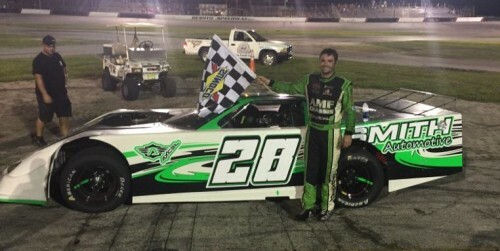 If not for a broken axle, Campbell may have swept all three events in Desoto Speedway’s Enduro-style classes. 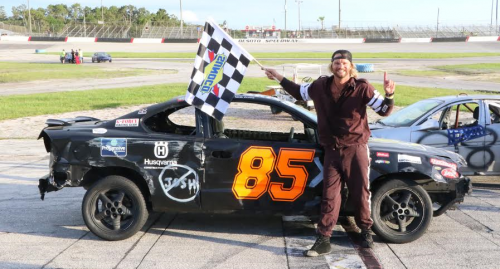 Duane Campbell made sure that things would remain in the family, capping off a night of mayhem and destruction in Desoto Speedway’s summer Kid’s Night Out. 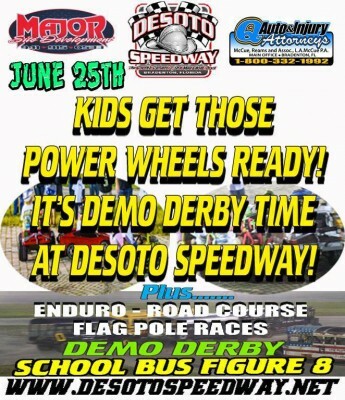 Demolition Derby returns this week to Desoto Speedway June 25th and not just one derby but two different derbys. Big car derby will be one you do not want to miss along with a smaller car derby. We also will have the kids Power Wheels derby for ages 4 to 9, it is free to enter you just bring your own Power Wheels. 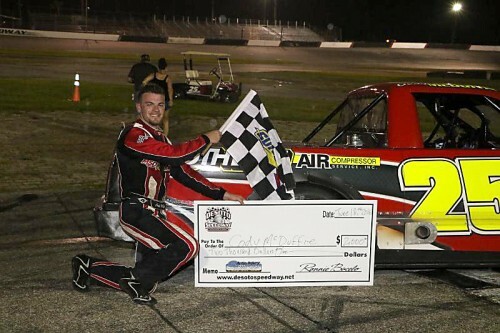 As a field of two dozen of the state’s best pro truck drivers took the green flag for the inaugural Florida Pro Truck Invitational Saturday night at Desoto Speedway, they knew they had to top two things: a stout truck driven by Cody McDuffie and Mother Nature. The drivers may have bested Nature’s fury by a matter of moments, but they couldn’t stop McDuffie from driving into the winner’s circle in Desoto’s biggest Pro Truck race of the 2016 season that capped off a rare Father’s Day weekend doubleheader.